It’s a generous throw, roughly 65 x 80 inches. It’s hard to see in the photos, but it is quilted (by my fabulous friend, Trina) in hot pink thread! This best part of this quilt? It’s for *me*!! (insert happy dance here). So, do you have a favorite holiday? If so, which one and why? Doris! 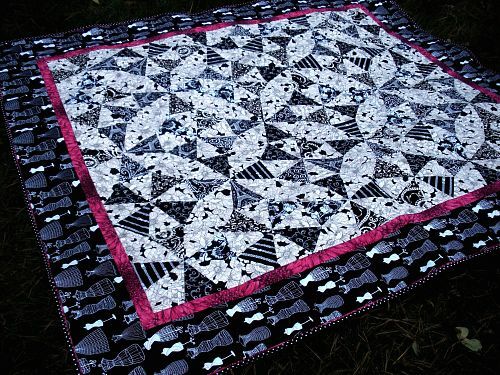 This is such a gorgeous quilt! 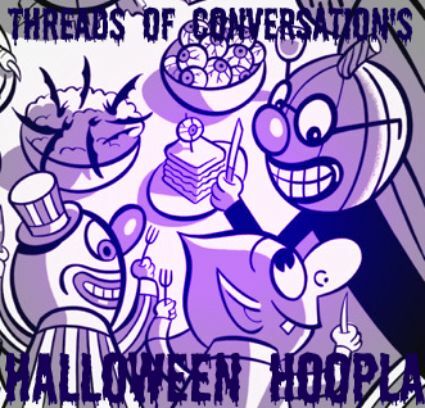 I love the black and white prints, and the pink thread and border really add so much dimension to this. Definitely love those kaleidoscope blocks, which look like they are swirling around. How fun that this quilt is for YOU! Good luck with the judging at the show! What a fun quilt — I LOVE the hot pink! 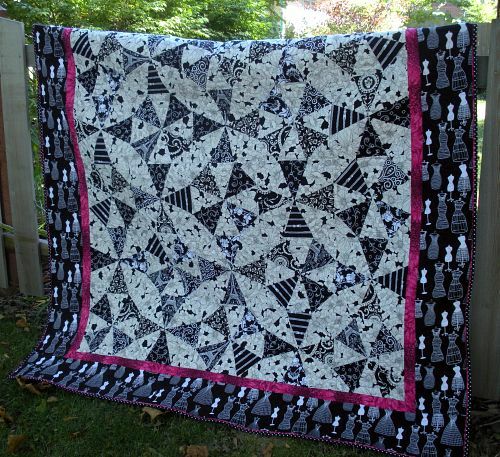 I've been wanting to do a black/white/bright color quilt, and I really like the pink. I'll be at the quilt show and will look for the blue ribbon on this one! I love your fabric choices for that quilt… and I adore the pink accent. 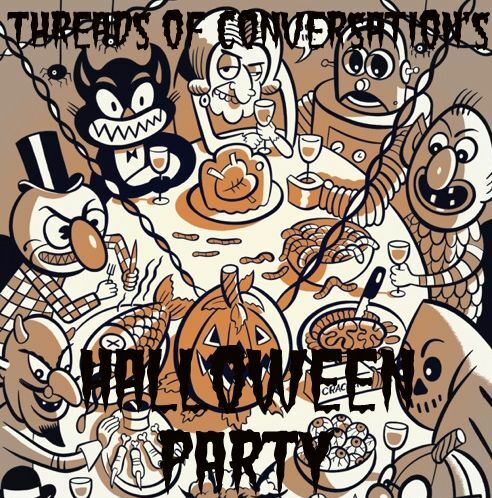 I gotta say that the mannequin fabric is my fave… just perfect. Good luck in the judging! 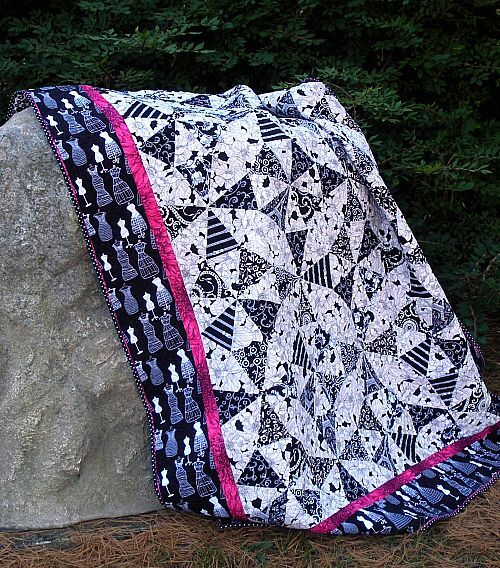 Oh my goodness – I LOVE that quilt….wow…just awesome….I have been collecting black/white fabrics for a while…..and used some in a log cabin top recently….but I just love what you have done…and the quilting in hot pink – great touch! Well done you deserve to do a happy dance! 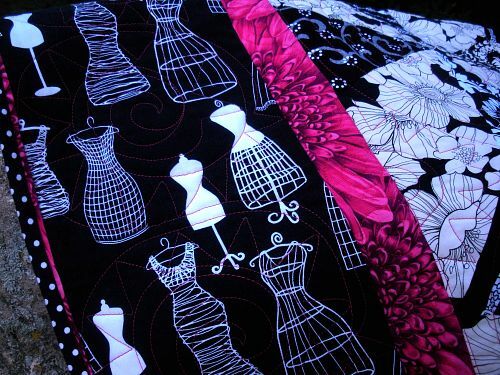 The hot pink is such a perfect complement to your great collection of B/W fabrics. That dress form border fabric is cute as can be. You saved it for a great quilt. Best of luck at the quilt show! The dressform and button fabrics are absolutely adorable! great quilt. 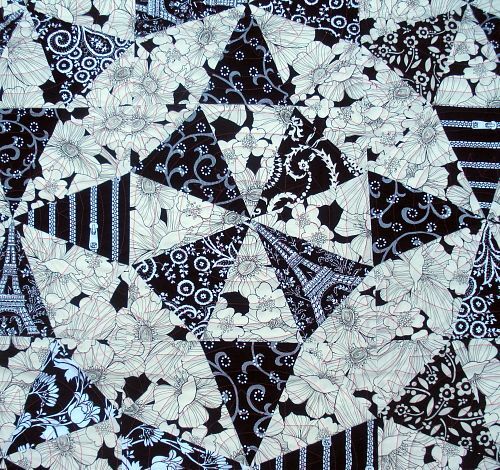 I love black, white & 1 color quilts! Ok Doris, are you sure you wouldn't like to send this over to me for a while? I promise to send it back!!!! What a fabulous quilt! I love your black and white quilt. The pink is a great accent. I have started collecting for one of my own. Beautiful quilt! 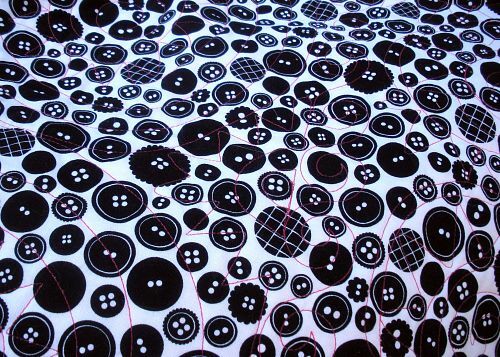 The black and white fabrics you have picked out are perfect! Inspiring!